Punjab Chief Minister Captain Amarinder Singh on Monday said he understands the problems the farmers of the state face, but they must not break the law by burning crop stubble. "This is a law of National Green Tribunal. My sympathies are with the farmers, but law is law and the law must take its course," Captain Singh said. "I have written twice to the Prime Minister, Agriculture Minister and the Food Processing Industries Minister to compensate farmers who do not burn stubble with an additional Rs 100 per quintal," he said. The chief minister said if the centre does not give Rs 100 per quintal compensation to farmers, it will be difficult to control stubble-burning. Although many farmers have stopped burning stubble as they have switched to converting it into bio-fuel, the practice still, to a limited extent, remains active in the state, the chief minister added. 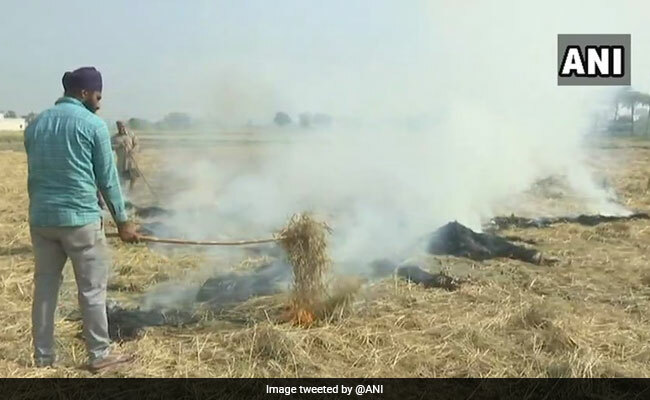 As autumn sets in, bringing along with it the harvesting period for Kharif crops, the increasing cases of stubble-burning in Punjab and Haryana are worsening the air pollution crisis in New Delhi and the neighbouring National Capital Region. This in turn has necessitated the NGT to implement strict norms on the burning of stubble. However, farmers in Punjab last week said industries and vehicles majorly contribute to air pollution and not stubble-burning.